This could be a large group but we have only about 20 names here. Match books are very reasonable as millions & millions were made. 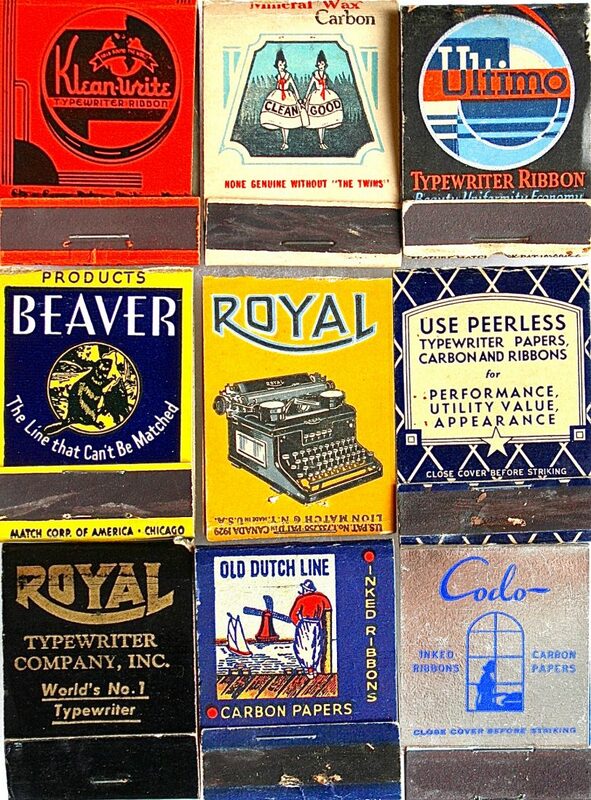 Here is a mixture of local typewriter shops and national brands. Most popular are ones with pics of machines or ones that look like ribbon tins.